Hari Sivan, the co-founder and CEO of SoCash, says that the inspiration for the startup came from his wife, Rekha Hari (who is also a co-founder). The couple’s apartment in Simei, Singapore was a kilometer away from the nearest ATM, and going to get cash from that ATM had always been one of their least favorite weekend errands. The journey was more than just an inconvenience. “There is enough data that nobody should ever go near an ATM” Sivan says. ATM users too often fall prey to mugging, card skimming, or, at the very least, high fees. Rekha wondered why they couldn’t just eliminate the middleman and get cash in the same place where they spent it—for example, at their small, local supermarket—as she had noticed that this was possible in other countries, like the United States. But the working model that allows shoppers in the United States to get cash back when paying for something by card doesn’t translate as well to Southeast Asian countries, Sivan explains, noting that retail in the region is “quite fragmented” and mostly run by mom-and-pop shops, rather than giants like Walmart. Enter SoCash (which stands for Social Cash): a mobile-based platform that, according to Sivan, “makes every individual or every shop into an ATM.” Instead of trekking or driving to wherever the nearest ATM might be and paying a fee for the convenience (or inconvenience), SoCash allows users to choose the local shop or neighbours from which they’d like to collect their cash. So making cash readily available at local businesses has clear advantages for both retailers and consumers. “The only thing that cash doesn’t have,” Sivan acknowledges, that credit cards do have, “is the rewards and loyalty program, because it’s more of a common man’s mechanism. 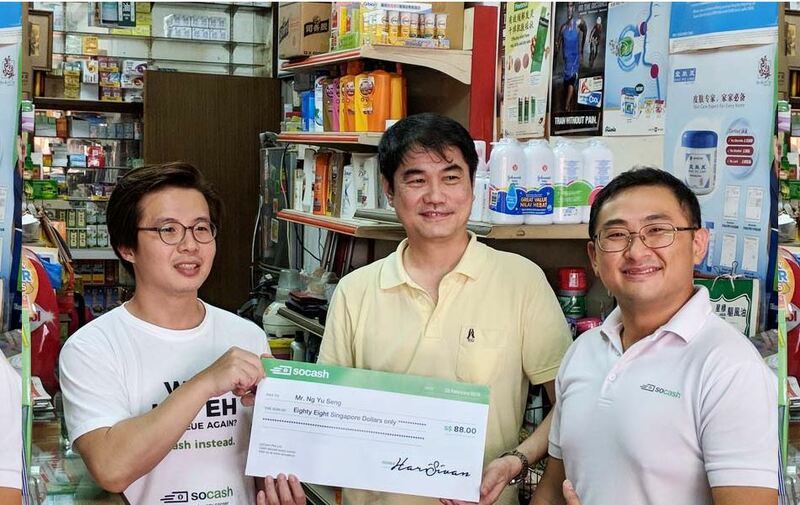 It is not an elitist product.” Unlike plain cash, however, SoCash does offer some perks, like free gifts and the ability to earn “free cash” with each cash withdrawal.